Describe why company alignment is important. 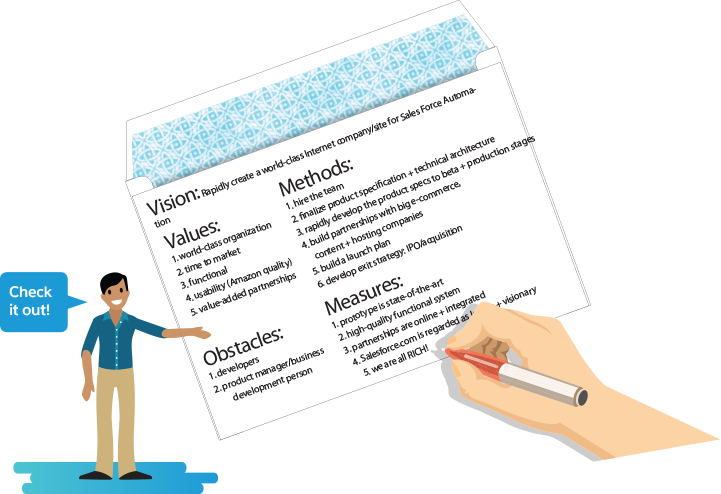 Identify the five components of the V2MOM at Salesforce. 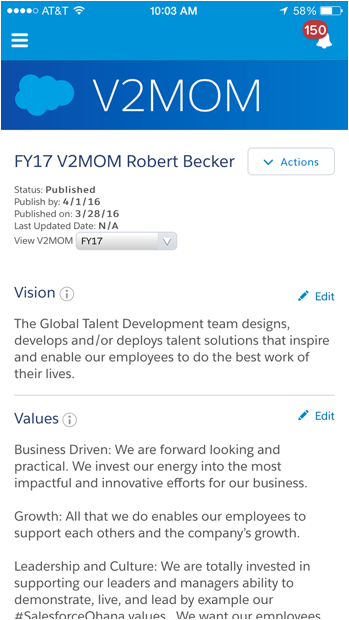 Articulate how the V2MOM enables organizational alignment. Getting everyone in your organization in sync is not easy. Whether you’re a small business or a global company, it’s a challenge to get everyone moving in the right direction. Imagine this: Your whole company is in a boat, and each employee holds an oar. You specify a destination, and you tell everyone “Go!” What happens next? Competitive rowing teams know that if you row together in sync, you’ll go faster. Each crew member’s catch and release of their oar must be perfectly aligned to generate the most speed and the least drag. To win, everyone must remain committed to their vision of being the best and hold themselves accountable to deliver. If you’re reading this module, you’re probably interested in propelling yourself, your team, and your company to success. Company alignment is not unlike becoming that winning rowing team. It’s about getting everyone in the organization in sync, working together with precision, focusing on a common goal, and moving at incredible speed. And like rowing, company alignment is not that easy. A study in "The Strategy-Focused Organization" by Robert Kaplan at Harvard shows that as little as 7% of employees fully understand their company’s business strategies and what’s expected of them to achieve their company’s goals. Makes you wonder what the other 93% are doing every day. Perhaps working on things that don't have a direct impact on the company’s goals? That sounds like a big opportunity to get more alignment and focused performance out of employees. Employees are more engaged when they understand and support the goals and strategies of the organization and can clearly see their role in achieving the company’s overall vision. According to the Workforce Intelligence Institute, when employees are aligned and focused, they positively affect the company’s financial performance. But how do you work towards alignment in a way that’s simple to follow, easy to understand, and gets everyone aligned and engaged? At Salesforce, it’s the V2MOM. So how does Salesforce create alignment? Given the company’s breakneck speed of growth, the most important things are constant communication and complete alignment. We’ve been able to achieve both with a “secret” management process developed many years ago. It all started back when our founder Marc Benioff was working at Oracle. Struggling to define a way to help his divisions find clarity on their vision and goals, Marc sought wisdom from leadership, personal development, and spiritual gurus. Taking the best of all he heard, he developed his own management process called the V2MOM, an acronym that stands for Vision, Values, Methods, Obstacles, and Measures. While there are many other leadership paradigms and frameworks available to follow, the magic of the V2MOM is its simplicity. It's easy to digest, understand, and implement. And best of all, every employee in the company has one, making it easy for everyone to know how they contribute to the company’s success. Defines what you want to do or achieve. Principles and beliefs that help you pursue the vision. Actions and steps to take to get the job done. The challenges, problems, issues you have to overcome to achieve the vision. Measurable results you aim to achieve. When you combine all five components, you get a detailed map of where you're going and a compass to direct you there. Back in the early days when Marc and his Salesforce co-founders were first starting the company, they needed that compass for sure! As the legend goes, they scribbled out the very first V2MOM on the back of an American Express envelope. Check it out! This first V2MOM served as the foundation for the company and the original business plan. Clearly it worked, because it didn't take long for the vision of this V2MOM to become a reality. Today the V2MOM is still at the forefront of how we run our business. Every year, we work collaboratively to create a V2MOM that serves as the foundation for how we align and prioritize what we’re going to accomplish. And we hold ourselves accountable for delivering results. The V2MOM has always been our “secret sauce” that’s enabled our success from the beginning. Watch the video below to learn more about the purpose and process of writing a V2MOM. 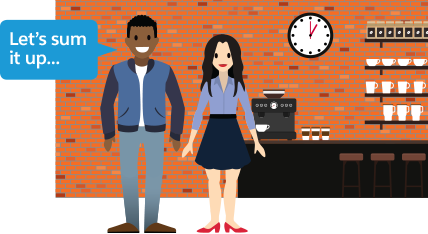 So how do we build the V2MOM at Salesforce? Not in a bubble. It starts as a collaborative process at the top. Marc works with his direct reports to write the company’s V2MOM. Then he does focus groups, shares it at company-wide kick-off meetings, and incorporates feedback from others to get it just right. V2MOM is an iterative, transparent, and feedback-driven process. Everyone has a chance to provide input and feedback which creates buy-in, alignment, transparency, and unity across the organization. The best part? Every employee creates one! After the corporate V2MOM is established, it gets cascaded down to functions, teams, and individuals so everyone can create their own V2MOM. This ensures that every employee has a clear understanding of our priorities every year, and how their role, goals, and performance contributes to our overall success—now, that’s alignment. And since we create our V2MOMs within our Salesforce platform, everyone can see everyone else’s V2MOM at the click of a button! It’s a really powerful, enlightening experience to be able to look up any of our 20,000 plus employees and read their V2MOMs on your phone and learn more about who they are, what they’re trying to achieve, and how their work ties back to achieving the company’s Vision. When the V2MOM process is complete, it keeps all employees—across all levels, functions, and regions of the company—aligned and focused on the company’s primary objectives and moving forward in the right direction faster together. Of course, that doesn’t mean it’s a one and done click the box activity. The V2MOM is a living document that’s intended to spark meaningful dialogue and inform decision-making throughout the year. Employees engage in conversations with their managers around their priorities on an ongoing basis. We’ll talk more about how we monitor, manage, and refresh our V2MOMs in a later unit. Drive company-wide ALIGNMENT by ensuring every individual’s V2MOM aligns with the company V2MOM. PRIORITIZE what’s most important by using our V2MOMs to manage how we’re spending our time and resources. Hold ourselves ACCOUNTABLE by consistently monitoring and tracking progress against the V2MOM Measures. So now that you’ve had a taste of our secret sauce, you probably want to sneak a peek at the recipe eh? We’ll share more “secrets” on how to write a V2MOM in the next unit.